A "BONNIE and Clyde" scammer couple lived a life of luxury after making an alleged $2 million from online fraud, while one was married to an unsuspecting disabled man. Angela Greer told her spouse she earned her money as a Gold Coast publicist. In fact, she and Michael Tozer were carrying out an sophisticated illegal scheme that involved buying and selling non-existent products online, A Current Affair reported. Greer, 52, would fly out her husband to stay with her in five-star hotels across the world - but he had no idea her 42-year-old lover was living next door. 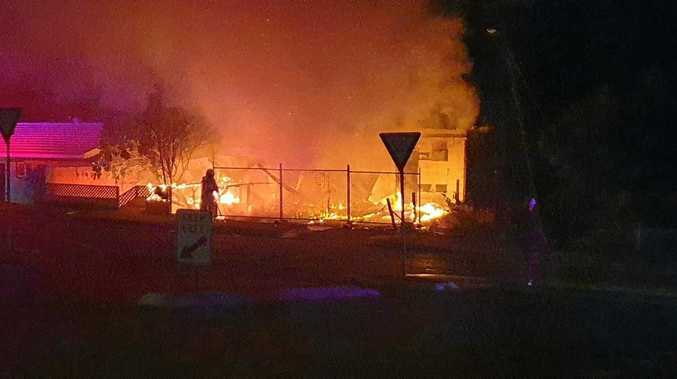 Greer and Tozer were arrested in August 2016 at the Shangri-La Hotel in Cairns, where they had been living for five months. Police found cupboards stuffed with Louis Vuitton luggage, Versace goods, Rolex watches, dozens of bank cards and $3000 cash. 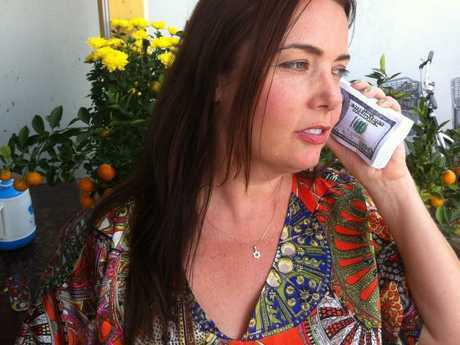 Angela Greer, 52, poses with a wad of US$100 bills to her ear. She and Tozer both pleaded guilty to their role in the complex fraud. The duo revelled in taking photos of themselves surrounded by high-end designer goods and clutching wads of money as they holidayed at lavish resorts in Indonesia, Singapore and across Australia. "I've never seen a couple so obsessed by money," Detective Sergeant Brad McLeish told ACA. "Tozer created thousands of fake accounts on PayPal, eBay and Gumtree, which he used to buy and sell non-existent goods." 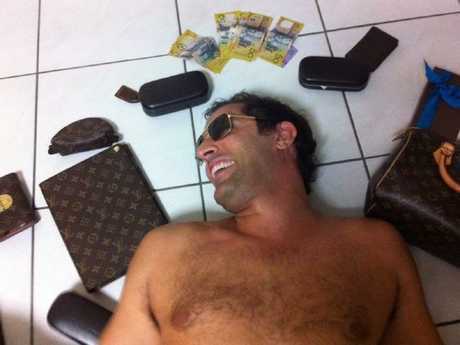 Michael Tozer, 42, shirtless and surrounded by money and luxury items including Louis Vuitton apparel that he bought using the proceeds of a massive online scam. They were caught out when an Australia Post employee noticed them buying 62 Load&Go cards. "He (Tozer) was ultimately caught red handed in possession of all of the tainted property," said Crown Prosecutor Melanie Franklin. It took detectives months to unravel the complex paper trail. They found that Tozer had more than 700 bank accounts, and 300 in the names of people whose identity the couple had stolen, including their family members. They also discovered notebooks filled with thousands of aliases, according to the Cairns Post. "From all those bank accounts you could just see PayPal money pouring into them," Det Sgt McLeish said. Greer's husband of 22 years, who has now divorced her, was reportedly "too scarred" by the experience to comment. Tozer, who masterminded the scam, pleaded guilty to one count of fraud, dishonestly obtaining $950,000 from PayPal, and was jailed for eight years. He will be eligible for parole next March. Greer pleaded guilty to five counts of identity theft and was jailed for three months, but walked free from Cairns' District Court last week after already serving one-and-a-half years for her involvement in the fraud. ACA found Greer at another luxury resort in Palm Cove north of Cairns, practising yoga by the pool.